Supporters of Ioana Salajanu's countywide judicial bid are planning a fundraiser for their candidate on Friday, February 2, from 8:00 p.m. to midnight, at the Stan Mansion, 2408 N. Kedzie Blvd., Chicago. All tickets include complimentary food. Laura Bretan, the Romanian-American opera singer, winner of Romania's Got Talent and a 6th place finisher in America's Got Talent, will perform. Tickets for the event are $100 each (children will be admitted for $25 and students for $50). Sponsorships are available (Friend - $250, Supporter - $500, Sponsor - $1,000, and Host - $5,000). For more information, or to reserve tickets, email Andra Stanciu. Tickets are also available online at https://actionnetwork.org/ticketed_events/mansionmasquerade. At its meeting Monday afternoon, the Cook County Officers Electoral Board voted to overrule objections made to the nominating petitions of Shay Tyrone Allen. Allen is a candidate for the Washington, II vacancy in the 5th Subcircuit. His opponents are Judge Robert Harris, who was recently appointed to that position by the Illinois Supreme Court, and Mary Alice Melchor, who previously survived a challenge to her nominating petitions. In other actions concerning judicial candidates taken Monday afternoon, the Electoral Board allowed objections to be withdrawn as to 6th Subcircuit candidates Edward J. Underhill (Cooke vacancy) and Sean Patrick Kelly (Chevere vacancy). Underhill is now cleared to challenge Judge Charles "Charlie" Beach, who was recently appointed to the Cooke vacancy by the Illinois Supreme Court. A challenge to the petitions of a third candidate, Andrea Michelle Webber, remains pending. Kelly's opponents in the race for the Chevere vacancy are David C. Herrera and Judge Kent Delgado. The Electoral Board also approved motions to withdraw objections to the candidacies of Bradley R. Trowbridge (countywide McGinnis vacancy), Gwendolyn D. Anderson (5th Subcircuit, Banks vacancy), and Arthur Wesley Willis (2nd Subcircuit, Valarie Turner vacancy). 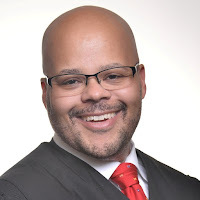 Supporters of Judge Kent Delgado's 6th Subcircuit candidacy have announced a fundraiser for their candidate on Wednesday, February 21, from 5:30 to 7:30 p.m. at Frontier, 1072 N. Milwaukee Ave., Chicago. Tickets for the event are $100 each, but government employees will be admitted for $50. Sponsorships are also available (Neighbor - $250, Friend - $500, Patron - $1,000, Benefactor - $2,500). For more information, or to reserve tickets, email jaclyn@cfoconsults.com. Multiple sources have confirmed that the Democratic Committeemen in the 4th Subcircuit met yesterday for an endorsement session, choosing to back Martin D. Reggi for the Riley vacancy and Caroline Jamieson Golden for the Davy vacancy. In making these endorsements, 4th Subicircuit committeemen bypassed the judges appointed to those vacancies by the Illinois Supreme Court, David R. Navarro (Davy vacancy) and John Andrew O'Meara (Riley vacancy). Navarro is Golden's only opponent for the Davy vacancy. In addition to Reggi and O'Meara, Elizabeth Ciaccia-Lezza and Danny Collins are seeking the Riley vacancy. OK, sure, he's in an uncontested race. 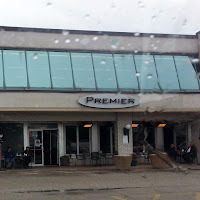 But even uncontested candidates have campaign expenses, especially when they're slated, and, for that very practical reason, supporters of Thomas F. McGuire's countywide candidacy have scheduled a fundraiser for Friday, February 2, from 5:30 to 8:00 p.m., at Café la Cave, 2777 Mannheim Rd., Des Plaines. Tickets are $50 each, but sponsorships are available (Bronze Host - $150, Silver Host - $250, Gold Host - $500, Platinum Host - $1,000, and Chair - $2,500). For more information about the event, or to reserve tickets, contact Maria R. Sandoval-Raygoza at (847) 825-7744 or email mcguireforjudge@gmail.com. Supporters of Scott J. Frankel's 11th Subcircuit candidacy have launched a campaign website on his behalf. That's a link to the site in the preceding sentence; a link has been added to the blog Sidebar as well. Licensed as an attorney in Illinois since 1987, according to ARDC, Frankel currently practices with the firm of Frankel and Cohen, handling criminal defense, civil rights, and employment matters, according to the law firm website. According to his campaign bio, Frankel received his undergraduate degree from Oberlin College and his law degree from the Ohio State Law School (where he served as editor-in-chief of the Ohio State Law Journal). After clerking for a federal district court judge, Frankel worked for Mayer Brown before moving to the Cook County public defender’s office. He has had his own practice since 1992. His campaign bio notes that he has logged more than 50 jury trials in state and federal courts. Frankel resides in Oak Park with his wife and two children; his daughter is currently enrolled at Oberlin College, according to the campaign bio. Hat Tip to Olivia Stovicek of Injustice Watch for sending me a link to this site around the same time I heard from the Frankel campaign. Stovicek sent me some other links as well, which will be covered in an upcoming post. The Nominating Committee of the Circuit Court of Cook County decided today to reconvene the Associate Judge selection process in April. The Nominating Committee took this action to avoid overlap with the March primary in which several applicants for Associate Judge are also running for Circuit Judge, and to avoid a scheduling conflict with the Administrative Office of the Illinois Courts’ mandatory Education Conferences that judges will attend in February and April. While Circuit Judges are elected by the public, Associate Judges are appointed by the Circuit Judges in a selection process conducted by the Administrative Office of the Illinois Courts. For this selection process, Circuit Judges will see 34 names on their ballots and will select 17 candidates. The 17 candidates who receive the most votes will become Associate Judges. A total of 272 licensed attorneys originally submitted applications for consideration for the 17 Associate Judge vacancies and underwent evaluations by several bar associations. The bar associations’ evaluations concluded in December. This month, the Nominating Committee interviewed 248 applicants, as 20 withdrew from the process and four did not appear for their interviews. Interviews concluded today, and the Nominating Committee will reconvene in April to select 34 finalists. All Circuit Judges who will vote in the Associate Judge selection process must attend one of two state-mandated judicial education conferences on February 5-9 and April 9-13. If the Nominating Committee was to move forward with selecting the Associate Judge finalists, the timing of the conference would limit the Circuit Judges’ ability to personally meet with the 34 would-be Associate Judge finalists before the Circuit Judges cast their ballots. Michael B. Barrett will apparently appear on the ballot in the race for the Scully, Jr. vacancy in the 15th Subcircuit. In action taken this morning, the Cook County Officers Electoral Board voted to accept a hearing officer's recommendations overruling the objections made to Barrett's petitions. Barrett's opponent in the race for the Scully, Jr. vacancy is Ashonta Rice-Akiwowo. A third candidate, Rivanda Doss Beal, was recently removed from the ballot in that race. The Electoral Board found that, despite various objections, Barrett retained enough valid signatures to qualify for the ballot. Also surviving challenges to the their petitions, per Electoral Board action today, were 2nd Subcircuit candidate Sheree D. Henry (Willis vacancy), 5th Subcircuit candidate Marian Emily Perkins (Jones vacancy), and 3rd Subcircuit candidate Michael Hayes. In each case, the number of valid signatures was an issue. In each case, the candidates were found to have sufficient valid signatures to remain on the ballot. Henry's one opponent for the Willis vacancy is Judge Debra A. Seaton. Judge Perkins, who holds the Jones vacancy in the 5th Subcircuit pursuant to Supreme Court appointment, faces challenges from Jenetia Marshall and David L. Kelly. Hayes will face two opponents in his 3rd Subcircuit bid, Judge Patrick Thomas Stanton and Kevin Patrick Cunningham. In other action this morning, the Electoral Board agreed to the withdrawal of challenges to the candidacies of two candidates for the Liu vacancy in the 8th subcircuit, Judge Michael A. Forti (who holds this seat pursuant to appointment by the Supreme Court) and Cyrus Hosseini. Also seeking the Liu vacancy are Lindsay Hugé and Athena A. Farmakis. Challenges remain pending against several more judicial hopefuls. The Electoral Board's next meeting is set for Monday afternoon. Multiple sources have contacted FWIW in the last week or so to advise that the current associate judge selection process has been greatly accelerated and that the 'short list' might be forthcoming at almost any time. My sources seem to be zeroing in on tomorrow for the announcement, but I heard from someone this morning who'd been told the announcement might even be made today. I put a call in first thing this morning to Pat Milhizer, the Director of Communications for Chief Judge Timothy C. Evans, seeking confirmation of these swirling rumors, but I have not yet heard back. If and when I do, I will update this post, or put up a new one, as may be appropriate. UPDATE:There is no short list coming out this month. There will be no short list until April at the earliest. See this post for details. 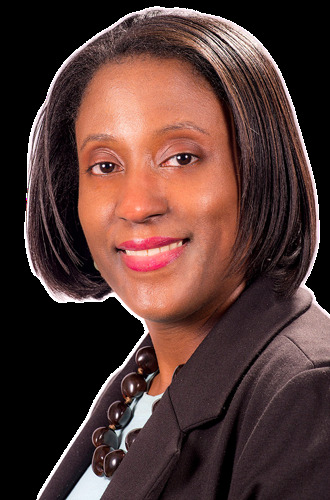 Chelsey R. Robinson has dropped out of the race for the Valarie Turner vacancy in the 2nd Subcircuit, according to the Illinois State Board of Elections website. Robinson, who was facing a ballot challenge, is the second candidate to bow out of this race in the last couple of weeks (Ubi O'Neal dropped out on January 8). Four candidates remain, though challenges remain pending against three of them, Arthur Wesley Willis, Howard B. Brookins, Jr., and Nyshana Kali Sumner. The fourth candidate is former Judge Devlin Schoop. Anyway, you've got these lights that don't work any longer. And you don't want to consign them to a landfill. Is there any place where the dead lights can be taken? 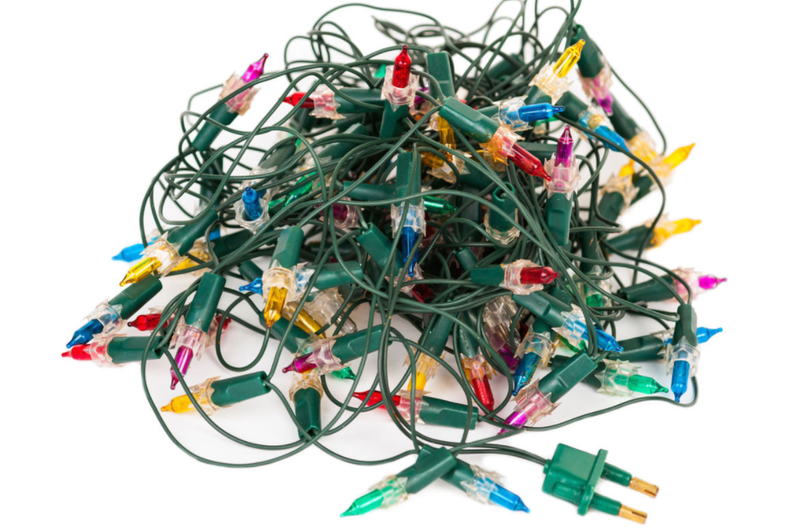 Evanston residents can recycle holiday lights through January 31 at three different locations (click here for details). 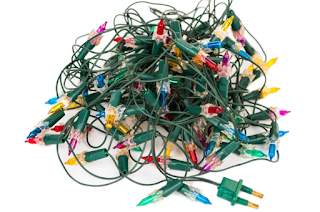 Residents of the western suburbs can click here for locations (some locations may have already stopped accepting dead light strings, so click or call before showing up). The Solid Waste Agency of Northern Cook County (SWANCC) also has a long list of locations where used lights may be dropped off. Check the dates and hours for each location; these vary widely. Garland, live greens, wreaths or other non-recyclables are not accepted in this program. Elgin Recycling is processing the material. According to Illinois State Board of Elections website, the objections to Rivanda Doss Beal's nominating petitions have been sustained and, pending any possible judicial reversal, she has been removed from the race for the Scully, Jr. vacancy in the 15th Subcircuit. Two candidates remain in that race, Ashonta Rice-Akiwowo and Michael B. Barrett. As of this morning, according to the Cook County Clerk's website, an objection to Barrett's candidacy remains pending. Also removed from the ballot, per the ISBE website, was countywide hopeful Mary A. Lopez (Clay vacancy). These two candidates were removed pursuant to action taken yesterday afternoon by the Cook County Electoral Board. The decisions of the Board concerning these two candidates had not been posted as this post was completed. The disappointed candidates have five days in which to file petitions for judicial review in the Cook County Circuit Court. Remaining in the race for the Clay vacancy are Kathaleen Theresa Lanahan, Jonathan Clark Green, Michael I. O'Malley, and Lori Ann Roper. Objections to Roper's candidacy were previously withdrawn. Supporters of Martin D. Reggi's 4th Subcircuit candidacy are planning a fundraiser for their candidate on Thursday, January 25, from 6:00 to 9:00 p.m., at Tapp City, 6709 West 26th Street in Berwyn. Appetizers will be served and there will be live music and an open bar. Tickets for the event are $100, but sponsorships are available (Patron - $250, Supporter - $500, and Sponsor - $1,000). For more information about the event, or to order tickets, email reggiforjudge@gmail.com. Per the Illinois Board of Elections website, Marcellus H. Moore, Jr. has withdrawn his candidacy for the countywide McGinnis vacancy. Moore's withdrawal leaves three candidates in that race, Brian Terrence Sexton, Peter Michael Gonzalez, and Bradley R. Trowbridge. An objection to Trowbridge's candidacy was filed with the Cook County Electoral Board, and the Cook County Clerk's website shows, as of this posting, that a decision on Trowbridge's ballot status is still pending. The pending decision may be favorable to Trowbridge's hopes, given that the Gonzalez campaign recently circulated an email suggesting that their candidate will face two opponents in March. In an order entered last Friday, January 18, the Cook County Electoral Board removed Judge Elizabeth A. Karkula from the March 20 primary ballot. Unless a successful court challenged is filed against this decision, Judge Karkula will not appear on the ballot for the 8th Subcircuit Fabri vacancy. In its January 18 action, the Board adopted Hearing Officer Christopher J. Argrella's recommended decision sustaining objections to 1,856 of the 2,687 total signatures filed with Karkula's nominating petitions, leaving her with 169 signatures less than the 1,000 required. The Illinois Supreme Court appointed Karkula to the countywide Rooney vacancy in January 2016, but she was passed over by Democratic slatemakers last August, designated as the Democratic Party's fourth alternate selection. Only three additional vacancies opened up, however. Five candidates remain in the race for the Fabri vacancy: Former Judge James "Jamie" Shapiro, Stephen J. Feldman, Judge Robin Denise Shofner (who holds the seat pursuant to appointment by the Illinois Supreme Court), John Christopher Benson, and Bonnie C. McGrath (who recently survived a challenge to her nominating petitions). This is the first mention of Benson's candidacy here and that is a link to Benson's campaign website in the preceding sentence. A link has been added to blog Sidebar as well. Supporters of Judge John A. O'Meara's 4th Subcircuit campaign are hosting a reception for their candidate on Thursday, January 25, from 5:00 to 7:30 p.m., in the downstairs banquet room at Petterino's, 150 N. Dearborn (use the Randolph Street entrance). Hors d'eouvres and beverages will be provided. Joseph R. Curcio and Curcio Law Offices are the hosts for this event. Tickets are $100 each, but sponsorships are available (Bronze - $250, Silver - $500, Gold - $1,000). Judges will be admitted gratis. For more information, or to reserve tickets, email events@VoteJudgeOmeara.com or call Martina Smith at (708) 668-3116. Supporters of Athena Farmakis's bid for the Liu vacancy in the 8th Subcircuit have established a campaign website on her behalf. That's a link to the site in the preceding sentence; a link has also been added to the blog Sidebar. Licensed as an attorney in Illinois since 1993, according to ARDC, Farmakis has been with the State's Attorney's Office for her entire legal career. Currently, according to her campaign bio, Farmakis is a supervisor in the Preliminary Hearings Unit of the Criminal Prosecutions Bureau. Her campaign bio stresses that Farmakis has "spent nearly one-third of her career as a line assistant and supervisor implementing the principles of Balanced and Restorative Justice in prosecuting minors for criminal offenses while serving in the Juvenile Justice Division of the Juvenile Justice Bureau." 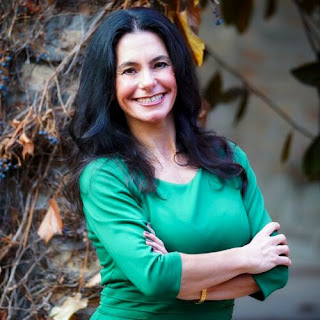 A Chicago area native, according to her campaign bio, Farmakis is a graduate of Northwestern University and the DePaul University College of Law. She currently serves as vice president of her condominium association in Lincoln Park. Farmakis volunteers at animal shelters and has also been active in the Women's Bar Association and Hellenic Bar Association, currently serving as an officer of the HBA. She has previously chaired the HBA'sJudicial Evaluation, Law Day and Career Corner committees. Farmakis also served on the Diversity Scholarship Foundation’s scholarship committee and on the Redeploy Illinois Oversight Board, according to her campaign bio. Farmakis's supporters have planned a fundraiser for their candidate on Thursday, February 1, from 5:30 to 7:30 p.m., at the Athena Restaurant, 212 S. Halsted. Tickets for the event are $100 apiece, but sponsorships are available (Silver - $250, Gold - $500, Platinum - $1,000, and Chairman - $2,500). For more information, to to order tickets, email info@athenaforjudge.com or call Frank at (312) 985-6529. Supporters of Keith L. Spence, a candidate for the countywide Hartigan vacancy, have set up a campaign website on his behalf. That's a link to the site in the preceding sentence; a link has also been added to the blog Sidebar. 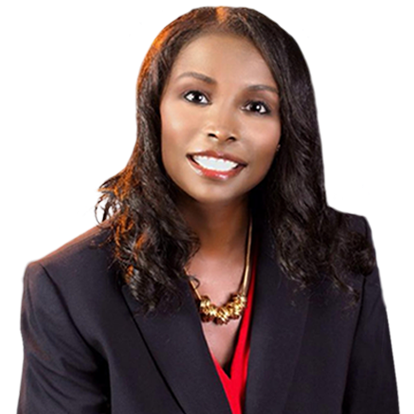 Licensed as an attorney since 1999, according to ARDC, Spence maintains a law office in Matteson, practicing primarily in the areas of criminal defense, domestic relations, and real estate. A former trial attorney with the U.S. 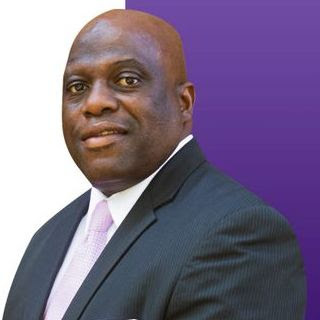 Equal Employment Opportunity Commission, according to his campaign bio, Spence also sits as an administrative law judge for the Village of Matteson. He previously served as an ALJ for the Village of Dolton. A native South Sider, Spence is a graduate of Percy L. Julian High School and Southern Illinois University. Before attending law school (he graduated from John Marshall in 1999), Spence worked for over a decade as an executive producer with ABC/WLS-AM. Spence lives in Matteson with his wife and two sons. The Illinois State Board of Elections website reports that Antoinette D. Weston withdrew from the 3rd Subcircuit race yesterday. Three others remain in that race, Judge Patrick Thomas Stanton, Michael Hayes, and Kevin Patrick Cunningham. An objection to Hayes' candidacy remains pending. Ubi O'Neal withdrew from the race for the Valarie Turner vacancy in the 2nd Subcircuit on January 8. Yesterday, according to the ISBE website, he was also removed from the race for the 2nd Subcircuit Willis vacancy. On the other hand, the objection to Erika Orr's 1st Subcircuit candidacy was overruled by the Cook County Electoral Board on January 9. Absent the filing of petition for judicial review in the Circuit Court of Cook County, Orr is now free to proceed with her challenge to Judge Litricia Payne in the race for the Hambright, Jr. vacancy. In other action taken by the Electoral Board on January 9, a challenge to the candidacy of Judge H. Yvonne Coleman (who is seeking the Banks vacancy in the 5th Subcircuit) was overruled, as were challenges to the candidacies of Bonnie McGrath (8th Subcircuit, Fabri vacancy) and Danny Collins (4th Subcircuit, Riley vacancy). Two January fundraisers set for Judge Preston Jones, Jr. Supporters of Judge Preston Jones, Jr.'s campaign are planning two fundraisers for their candidate this month. The first of these is set for Tuesday, January 23, from 5:00 to 7:00 p.m., at the Billy Goat Tavern, 1535 W. Madison St. Lisa Boughton, Ed Koziboski, Pete Benesh, and Tom Sianis are co-hosting this event. Tickets are $50 each, but sponsorships are available ($75 - Friend, $100 - Champion). The second Jones fundraiser is set for Wednesday, January 31, from 5:30 to 7:30 p.m., at the offices of Loevy & Loevy, 311 N. Aberdeen, 3rd Floor. Eileen Dordek and Jon Loevy are co-hosting. Tickets for this event are $150 each and sponsorships are also available (Friend - $200, Champion - $250). For more information about either event, or to order tickets, email prestonjonesforjudge@gmail.com or call Sara at (312) 523-8863. The Chicago Federation of Labor has announced its endorsements for the forthcoming primary. In countywide judicial races, the CFL followed the Democratic slate entirely. However, not all subcircuit candidates claiming Democratic Party support also received the CFL endorsement. Also, the CFL made no endorsement for the late-opening Valarie Turner vacancy in the 2nd Subcircuit, for the Maki vacancy in the 12th Subcircuit, or for any of the 13th Subcircuit vacancies. I had mentioned, in this November 27 post, that Assistant Public Defender Gwyn E. Ward Brown had filed for the O'Neill Burke vacancy in the 10th Subcircuit. At the time, I noted that I'd not yet found any campaign website. Ward Brown has a campaign website now. That's a link to the site in the preceding sentence; a link has also been added to the blog Sidebar. Ward Brown's campaign bio stresses her work handling post-conviction matters. She writes, "My work consists entirely of trying to free individuals who have been wrongfully convicted. The cases I work on include murder, attempted murder, and other felonies of that degree." Her campaign bio also notes Ward Brown's active membership in AFSCME Council 31, Local 3315, where she has previously held the position of Steward. A graduate of Marquette undergrad and law school, Ward Brown and her husband have lived in the City of Chicago for nearly 30 years and have owned a home in the Mayfair/Albany Park neighborhood for almost 17 years. She has two daughters and a stepson and is a member of the LaSalle Street Church. Found on the Internet, the campaign website of David L. Kelly, candidate for the Jones vacancy in the 5th Subcircuit. That's a link to the site in the preceding sentence; a link has also been added to the blog Sidebar. Kelly has been licensed as an attorney in Illinois since 2001, according to ARDC. His campaign bio notes that Kelly began his legal career as an Assistant Cook County State’s Attorney, serving there for more than 6 years. He thereafter set up his own firm in the Bronzeville area. Kelly's campaign bio states that his practice focuses mainly on criminal defense and real estate, but says he also handles "family law, personal injury, and housing matters." 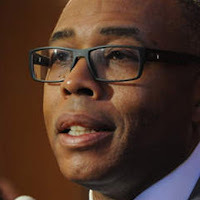 Kelly has served as a board member of the Cook County Bar Association and the Bronzeville Neighborhood Collaborative, volunteered at legal aid clinics, and established local block clubs, according to his campaign bio. Supporters of Lorraine Murphy's bid for the O'Neill Burke vacancy in the 10th Subcircuit have launched a campaign website boosting her candidacy. That's a link to the site in the preceding sentence; a link has also been added to the blog Sidebar. Licensed as an attorney in Illinois since 2003, according to ARDC, Murphy's campaign bio notes that she has logged 85 jury trials during the course of her service as an Assistant State's Attorney. Before attending law school, Murphy worked as a broadcast journalist for CNN and "different NBC affiliates across the country." Murphy now lives in Suaganash with her husband, Jim, and their two small children. They are parishioners at Queen of All Saints Basilica. According to her campaign bio, Murphy also volunteers her time as a board member for the Reach Out Community Center, "which helps provide underprivileged children with after school programs and other opportunities." Murphy's supporters have planned a fundraiser for their candidate on Friday, January 19, starting at 6:00 p.m., at the Iron Horse Ale House, 6158 N. Northwest Highway, Chicago. Tickets for the event are $50 each, and the cost of admission includes pizza and two drink tickets. For more information about the event, or to reserve tickets, email electlorrainemurphy@gmail.com. Supporters of Judge Myron "Mike" Mackoff's bid to hold his 8th Subcircuit seat have scheduled a fundraiser for their candidate on Thursday, January 25, from 5:00 to 7:00 p.m., at the Chicago office of Taft Stettinius & Hollister LLP, 111 East Wacker, Suite 2800. Tickets for the event are $125 each, but sponsorships are available (Silver - $300, Gold - $600, Chairman - $1,000). For more information, or to reserve tickets, email judgemackoffevents@gmail.com. 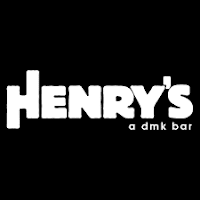 Mara Adelman, Jack Bentley, and Conor McNulty are holding a "Young Professionals Reception" for two Cook County Judicial candidates, 6th Subcircuit candidate Charles "Charlie" Beach and countywide candidate Cecilia A. Horan, on Thursday, January 18, from 6:00 to 8:00 p.m., at Henry's, 18 W. Hubbard. Tickets are $50 apiece but sponsorships are available ($125 - Supporter, $250 - Friend, $500 - Sponsor, $1,000 - Patron). A "beer and wine package" is included in the cost of admission. For more information about the event, or to reserve tickets, email eric@blueprintcampaignconsulting.com or call (773) 562-9559. 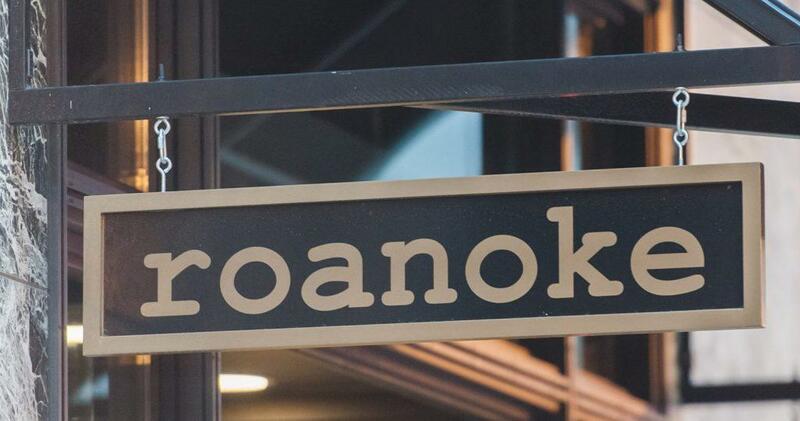 The new Roanoke Restaurant is apparently getting some significant business from judicial candidates. 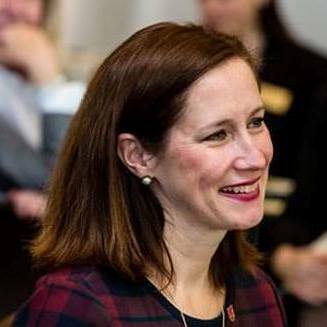 Paul Salzetta and Winters Salzetta O'Brien & Richardson, LLC have announced a fundraiser for 10th Subcircuit candidate Colleen Reardon Daly at the Roanoke, 135 W. Madison, on Thursday, January 11, from 5:30 to 7:30 p.m. Tickets for this event are $100 apiece, but sponsorships are available ($250 - Friend, Supporter - $500, Host - $1,000, Sponsor - $1,500, and Chair - $2,500. For more information about the event, or to reserve tickets, email colleenforjudge@gmail.com. Supporters of Scott McKenna's 15th Subcircuit campaign have arranged a fundraiser for their candidate on Thursday, January 18, from 5:30 to 7:30 p.m., at The Roanoke, 135 W. Madison Street, 2nd Floor. Listed as sponsors of the event are the firms of Winters Salzetta O’Brien & Richardson, Hurley McKenna & Mertz, Best Vanderlaan & Harrington, Clifford Law Office, Nakos & O'Connor, Romanucci & Blandin, Terrence Hegarty & Assoc., Motherway & Napleton, and Parente & Norem. Individual sponsors include Joe Power, Todd Smith, Tom Power, Joe Balesteri, Tom Siracusa, Chris Hurley, Mark McKenna, Mike Mertz, Jim Best, Tim Cavanagh, John Palumbo, Mike Keating, George Jasinski, Dan McCarthy (of Waterville Advisors), Gregg Strellis, Perry Browder, Mark Hawkinson (of Fast Market Options), Terrence and Kathryn McKenna, Mike Urbanski, John Kyle, Brian Sass, and Steve and Catherine Yee. Tickets are priced at $100 each, but sponsorships are available ($300 - Sponsorship, $1,000 - Premium Sponsorship). Judges and other elected officials will be admitted free. For tickets, or more information, email mckennaforjudge@gmail.com. A number of objections were filed shortly before this afternoon's deadline for lodging objections to petitions filed by candidates for the Valarie Turner vacancy in the 2nd Subcircuit. Every candidate, with the sole exception of former Judge Devlin Schoop, drew at least one objection. Ald. Howard Brookins and Chelsey R. Robinson each drew two separate objections. At least insofar as I have been able to determine from the ISBE website, Ubi O'Neal, who filed for both the Valarie Turner vacancy and the Camille Willis vacancy, does not seem to have withdrawn from either race before today's deadline. I am seeking confirmation on this from the ISBE and will update as circumstances require. 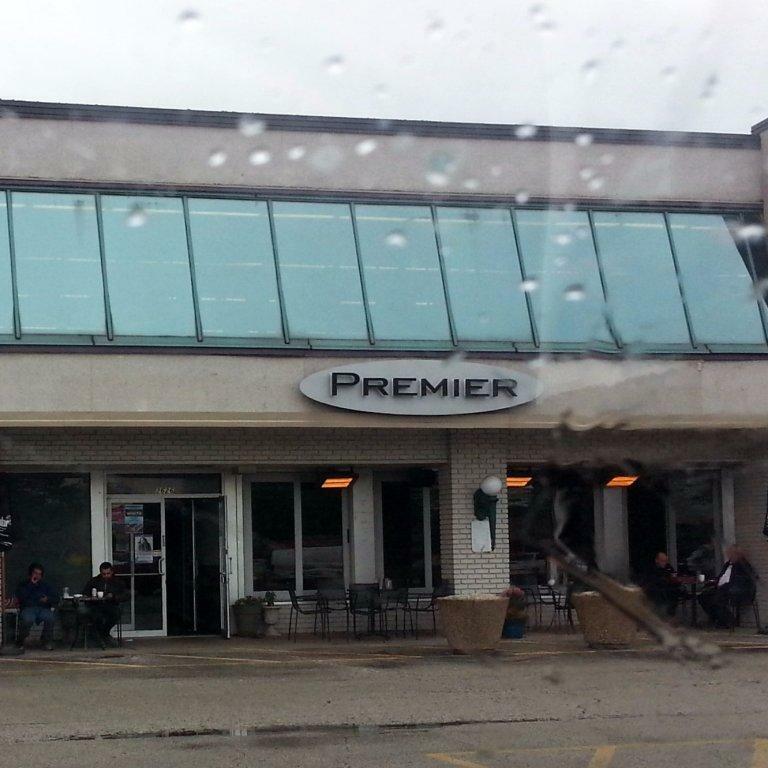 Supporters of Susanne Groebner's bid for the Republican nomination to the Crane vacancy in the 13th Subcircuit are planning a fundraiser for their candidate on Thursday, January 18, from 6:30 to 8:30 p.m., at the Premier Lounge, 2626 Golf Road, Glenview. Tickets for the event are $100 each, but sponsorships are available ($250 - Co-Sponsor, $500 - Sponsor, $1,000 - Co-Host, or $2,500 - Host). For more information about the event, or to order tickets, email info@groebner4judge.com or call Joe at (847) 204-8514. 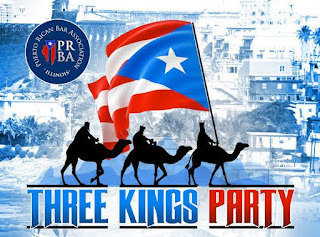 Tickets remain available for tomorrow night's Three Kings Party, hosted by the Puerto Rican Bar Association, at Nellie's Restaurant, 2458 W. Division, 2nd floor. Tickets for the event, which runs from 5:30 to 8:00 p.m., and will feature live music, a buffet dinner and open bar, are $75 each and will be available at the door. 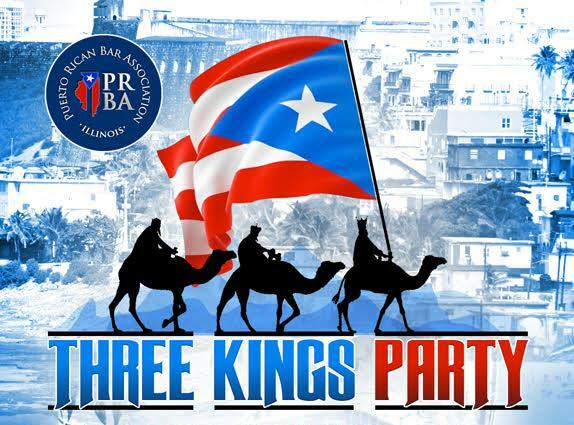 Organizers are also requesting that guests bring gifts -- not gold, frankincense, and myrrh (although that would be seasonal) -- but, rather, new or gently used coats and toys for families relocating to Chicago from Puerto Rico in the aftermath of Hurricane Maria. For more information, email prba@prbalawil.com. Supporters of Jonathan Clark Green's countywide judicial bid have scheduled a cocktail reception for their candidate on Wednesday, January 10, from 5:00 to 7:00 p.m.. at the offices of Leinenweber, Baroni & Daffada LLC, 120 North LaSalle Street, Suite 2000. The firm of Kopecky Schumacher Rosenburg PC is co-sponsoring the event. The suggested contribution for admission to the reception is $100. For more information, or to reserve tickets, email jaclyn@cfoconsults.com. A former judge and a current Chicago Alderman are among the six candidates who filed for the Valarie Turner vacancy in the 2nd Subcircuit. Two filed on the first possible filing date; four filed on the last possible date. Former Judge Devlin Schoop was one of the first two candidates to file in this race. Appointed to a countywide vacancy by the Illinois Supreme Court in 2015, Schoop was unable to hold the seat in the 2016 primary. Schoop currently works for the City of Chicago Law Department. 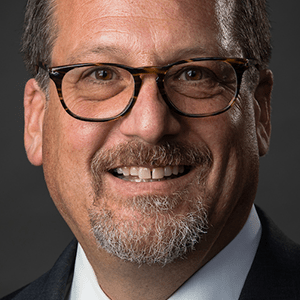 Before his appointment to the bench, Schoop was a partner in the firm of Laner Muchin, focusing on complex commercial, employment and civil rights litigation. He also served as the panel chair of a hearing board of the Attorney Registration and Disciplinary Commission. I have so far been unable to find any campaign website or even a campaign Facebook page for Schoop. O'Neal has been licensed as an attorney in Illinois since 1993 according to ARDC. He is a sole practitioner with offices in the Chicago Loop. O'Neal sought a countywide judicial vacancy in the 2010 primary; he also filed for the Willis vacancy in the 2nd Subcircuit this past December. According to the Illinois State Board of Elections website, O'Neal has yet to withdraw from that race. The first of the four candidates to file for the Valarie Turner vacancy on December 26 was Assistant Public Defender Arthur Wesley Willis. Willis was a candidate for a 2nd Subcircuit vacancy in the 2012 primary; that's a link to the 2012 campaign Facebook page in the preceding sentence. 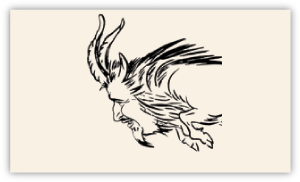 A single recent entry suggests that this page will soon be updated. 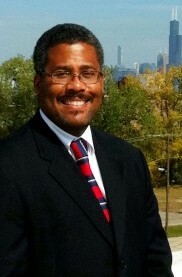 Willis has been licensed as an attorney in Illinois since 1994. Twenty-first Ward Ald. and Committeeman Howard B. Brookins, Jr. was the next to file on the 26th. He doesn't yet have a campaign website, at least that I can find. On the other hand, who needs a campaign website when the Chicago Sun-Times carries your campaign announcement? Brookins was briefly a candidate for the congressional seat and state central committeeman post held by Bobby Rush (filing before rumors of Rush's retirement proved premature). Brookins has been licensed as an attorney in Illinois since 1988, according to ARDC. 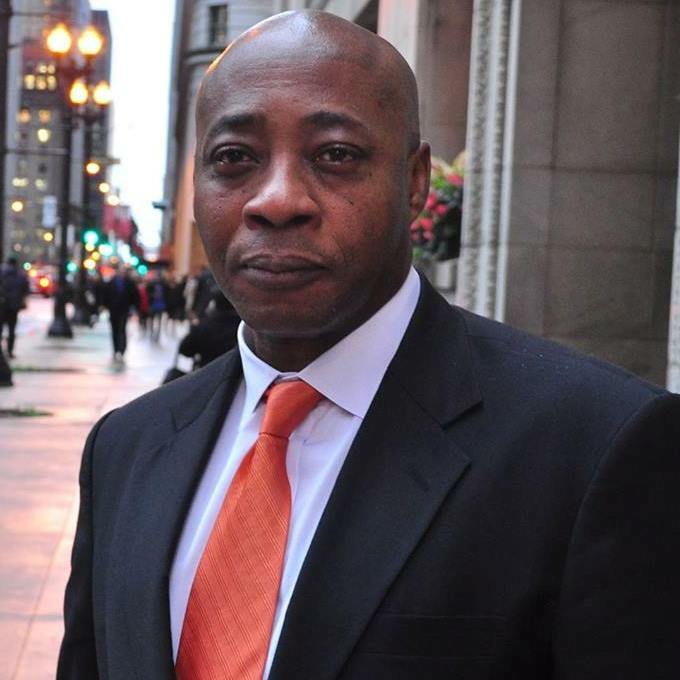 In addition to his City Council duties, he maintains a law office in the Chicago Loop. Nyshana Kali Sumner filed for the 2nd Subcircuit John D. Turner vacancy initially, but she withdrew from that race in order to file for this vacancy. That's a link to the candidate's campaign Facebook page in the preceding sentence; I haven't yet found a campaign website. Sumner, the daughter of retired Judge Thomas R. Sumner, has been licensed as an attorney in Illinois since 2004. She is employed as an Assistant State's Attorney and previously sought a 2nd Subcircuit vacancy in the 2014 primary. Chelsey R. Robinson filed at the last possible moment for this vacancy. A partner in the firm of Owens & Robinson, Robinson has been licensed as an attorney in Illinois since 1996, according to ARDC. Robinson sought a 2nd Subcircuit vacancy in 2016. I have so far been unable to find a current campaign website or campaign Facebook page for Robinson.